Fun Fact: With Staying Alive, Anant Mahadevan paid tribute to Sujit Sen, the writer of films like ‘Arth’ and ‘Saraansh’. 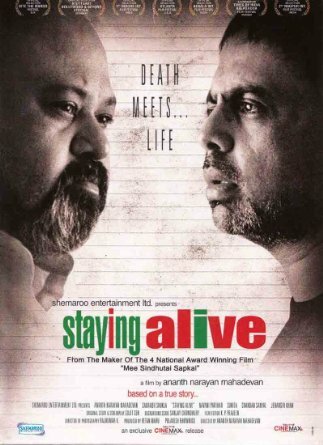 Why it Made News: Staying Alive was selected for a screening at the 5th Stuttgart Bollywood and Beyond film festival in 2008, in Germany. Aditya Roy (Ananth Mahadevan) is a newspaper editor and has been through two strokes, he has adapted to the crisis situation. Shaukat Ali (Saurabh Shukla) is an underworld kingpin, he has seen death closely and is terrified with his first heart-attack. Both the men share a hospital room after suffering a heart attack, they interact and exchange experiences, these talks lead a change in Ali’s outlook towards life.